Posted on 27 March 2014. Abadia Retuerta S.A.-Seleccion Especial-Tempranillo-Cabernet Sauvignon-Syrah-Estate-Sardon De Duero-Spain-2009-14.0% Alcohol-$22.99-A nose of dark fruits and spice, dark purple in color. A medium to full bodied red blend, with blackberry, cassis, dark chocolate and spice on long finish. A very good and enjoyable wine, still young, decant. RP-90 WE-87 CR-91 Good with meats, chicken, pasta. 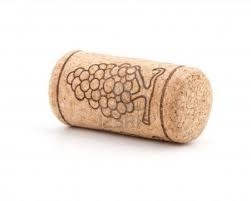 One Cork Bonus. Bogle Vineyards Winery-Petite Sirah-Graton-California-2011-13.5% Alcohol-$10.00-A nose of dark fruit and spice, dark black purple in color. A full bodied smooth and bold Petite Sirah, with blackberries, black cherry, chocolate, a bit rustic with spice on finish, a great QPR. NR CR-87 Good with ribs, chicken, pasta.